A new study reveals which size companies and what industries are more likely to under-report worker injuries. The study also points out how this impacts efforts to reduce worker injuries at all sorts of companies. The study, published in the American Journal of Industrial Medicine, says overall, 70% of workers’ comp claims in Washington state are properly reported to the U.S. Bureau of Labor Statistics for its annual Survey of Occupational Injuries and Illnesses. Put another way: For every 10 workers’ comp claims involving at least one day away from work in Washington, three aren’t reported to the BLS. Proper reporting increased with establishment size, from 63% of claims among facilities with fewer than 50 employees to 86% for those with 1,000 or more workers. Among industries, manufacturing had the best rate at 77% in the private sector, with state government having an 84% reporting rate. Information and financial activities was the industry with the lowest rate, 48%. Combining industry and establishment size, large construction companies were among those with the highest incidence of unreported injuries. More under-reporting was also found among large establishments in agriculture, forestry, fishing and hunting; and transportation and warehousing, as well as small companies in information and financial services; educational services; and healthcare and social assistance, and among companies of all sizes in retail trade; professional business services; and leisure and hospitality. Why did some types of companies have higher rates of under-reporting injuries than others? The construction industry relies on a competitive bidding process that includes injury rates. Bonuses for low injury rates may cause more under-reporting. 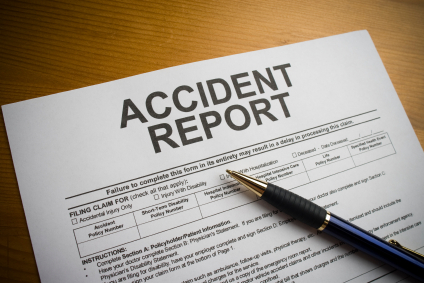 Some companies lack an adequate system to report and track workplace injuries. This may be particularly true if it’s an industry where injuries are less likely to occur. Unionization may increase the likelihood of injuries being properly reported. That could explain the better rate at state government facilities where employees are five times more likely to be unionized. Companies may be more likely to report more injuries because union representatives review posted injury logs to ensure their accuracy. In some cases, the larger size of a company may contribute to less accurate injury reporting because information must be transferred from one individual to several others. Example: The employee reports an injury to a supervisor, who would need to report to a recordkeeper who is located elsewhere. Why does this under-reporting matter? The researchers note that the variation in reporting impedes the ability to identify and prioritize groups at increased risk of workplace injuries. Employers shift from rewarding lower injury rates to incentivizing hazard identification and mitigation instead.